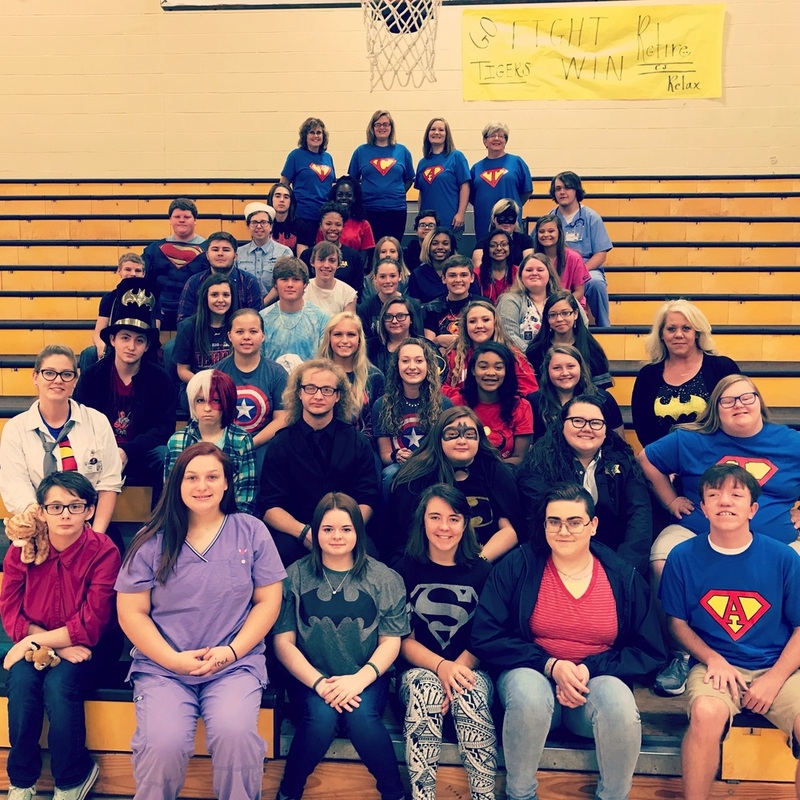 Halls High Move2AWAREness (M2A), a student council that aims to end bullying and mental health stigma in their school and community, organized a fundraiser for Tennessee Suicide Prevention Network (TSPN). TSPN is a nonprofit organization that provides resources and training in suicide prevention to schools and communities across the state. On September 12, 2018 (Suicide Prevention Awareness Day), students provided a small donation in exchange for an opportunity to dress like their favorite hero. M2A aimed to raise $100, but raised nearly $300. The class that raised the most money (Sophomores) was rewarded with a dress code pass. The success of this fundraiser shows HHS’ dedication in ending mental health stigma and preventing suicide in their community. Tosha Gurley, TSPN West TN Director, sent a thank you card to HHS stating the following: “Thank you for your kind support to TSPN…Because of your support, it is very true someone’s life was saved today.” Our HHS students truly are Mental Health Heroes.